Many long-time and new users alike of Infusionsoft just scratch their heads over this missing feature. Why can't you send out email based upon the users local timezone? Well now you can. This is the single biggest feature of the Timezone Triggers. Yes it will save timezone related data to custom fields, but it's real intent is to allow you to email people in their own local time instead of being forced to use the app timezone. The Timezone Triggers Helper will look at the contact's address information and use it to determine their timezone. It will then set any of the custom fields that you have mapped accordingly if you've chosen to save the timezone, timezone offset or latitude and longitude information. This Helper also integrates with the data saved through the IP Redirect Helper. Even if you've chosen not to save that data into custom fields, we still save it internally. That means that you can use the IP Redirect Helper vigorously to build up your timezone data and then use the Timezone Triggers to email by timezone. Now you may not need Longitude or Latitude data, and that's fine, but if you do, we've got you covered. This can be very useful when you're plotting that data onto maps, a feature you can do within Google Sheets via our Google Sheet It Helper, for example. Whether you want to store the textual representation of the timezone or the GMT Timezone Offset, either way, we can store it in custom fields for later use. That way the next time you run the Timezone Triggers you'll have the data ready to go. 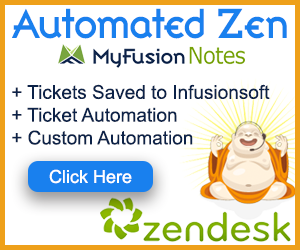 ​Copy Link for Infusionsoft - This first blue copy link button copy the URL used for the http post snippet inside of the Infusionsoft Campaign Builder. Copy API Goal Names - This middle icon is used to copy the API Goal names. We do this as a convenience so that you don't make any typos when entering them into your campaigns. Configure Button - The last button on the far right is the start configuration button which allows you to View, Edit, Copy, Delete, view the Usage Report and the Usage Log. Hello and welcome to MyFusion Helper, my name is Troy Broussard. In this video I’m going to talk to you about how to use time zone triggers in your marketing. This is an incredibly powerful feature. This video will be a little bit longer than normal because I’m going to go through a couple of different examples. I really want to make sure that you fully understand the power of this and the simplicity of how to use it as well. In this video I’m going to really walk through how to set it up which is pretty easy, there’s just one screen of configuration. I’m going to walk through that and show you the application to set up. I’ll also show you how it ties in with one of our other Helpers called the “IP Redirects.” We’ll talk a little bit about that and you can watch the other video on the IP Redirect feature as well. Then we’re going to dive into Infusionsoft and show you a couple of different campaign examples. Lastly we’re going to talk about some samples, I’ve got a cheat sheet for you as well that will be useful in this video. Let’s go ahead and dive right in. The first thing that we need to do is go ahead and create the Helper. I’m in our demo logged in Helper here and I’ve already logged in. We’re going to go in here and create a new Helper. We can just type in “time” and it will go right to the time zone triggers, then we can give it a name. I’m going to do “Time Zone Triggers Demo,” that looks good. We’ll do that and then click “configure” and that’ll bring this in. The Time Zone Triggers are set up so that you just pick the local time of when you want to send the email. When you want it to be delivered in that user’s local time, that’s what you’re setting here. Let’s just say that I want this to go out on Tuesday, so I’m setting this up for Tuesday at 8:00 am. Then you can see that’s how it would do and it gives you this message here that’s going to run on Tuesday, the 29th. I happen to be recording this on a Sunday, if I hit “Sunday” then it’s going to tell me, “This isn’t going to go until next Sunday, the 3rd.” Or if I click “Saturday” it’s going to tell me, “This isn’t going to go until next Saturday, almost a week from now, on the 2nd.” This gives you a visual indicator as well. When you set these times, you can do it this way and just pick a quick common time or you can adjust it down to the minute like this if you like as well. It’s totally up to you. You can toggle this between am and pm. Okay? Let’s go back to the example and we’ll just say I’m going to do it at eight and we’ll do 8:05 am on Tuesday. There are a couple of things that we can do as well when we’re sending out this time zone based email. We can update the contact with their latitude and longitude information. We can update the contact with the time zone that they’re in. We can also update the contact with the time zone offset in hours from Greenwich Mean Time. It’s really up to you which of those you do or don’t use. You don’t have to do any of them, but I do recommend that you pick one that you use as your base. You can also do this with the IP Redirect feature where we have the ability to pull all of this information and store it into custom fields. I know that custom fields are precious, so you may not want to do this. Latitude and longitude you may be asking what’s the purpose of that? Using that data can be very powerful because we can then integrate with Google Sheets with our Google Sheets Helper and pull that data real time into Google Sheets and provide a visual map of where people are located. This includes where your customers are located, where your leads are located and is based on that latitude and longitude information. For certain businesses that can be very, very powerful, especially at roadshows and displays where you might want to have a monitor on display showing your geographic influence or something to that nature. That’s why we include it, but you can also select the time zone and you can select the time zone offset. The difference is I’m going to show you a cheat sheet for this later in the video here, but the time zone will be stored in the PHP based textual time zone representation. It will be like America/Los_Angeles, America/Los_Angeles. Right? This is will tell you the Pacific Time zone. They use a set of look ups in that and that will store a text based time zone code that you can use in decision diamond branching logic inside your Campaign Builder if you like. The other option is to use the offset in hours from GMT time. This will just store a numeric value like plus five, negative five, negative eight or whatever the correct offset happens to be for that particular time zone. The question is, “How does it really get this time zone information?” Let’s cover this, I’m going to go ahead and create a Helper. We’ll just select, for this one, we’ll say latitude and longitude and then for time zone we’re going to store that in the time zone. Then this one will go in the offset and we’ll go ahead and create the Helper. The way that this works is that this time zone data is calculated off of a couple of different things. First of all, if it has existing data already stored in those custom fields, then it will use that. If it already has the time zone data set in there, then that’s what it will use. The second things it’s going to do then if it’s blank, the very first time you use it, it’s going to look at the billing address and customer information if it has that. If it has that, that will be used. It’s going to go from address one, address two, address three and cycle through those in order of priority until it finds the address that it has some time zone information that it can pull up for. That’s the second thing. The other thing that it will do is it will use the data that’s already in the contact from the IP Redirects as well. Here’s the beauty of this, if you’re using the IP Redirects to set that data, even if you’re not storing it in custom fields, we’re storing it internally. We will pull that in in these time zone triggers. The beauty here is that, even if you don’t want to use the custom fields, if you’re using the IP Redirects consistently like right after somebody opts in which is our recommendation to gather that data right at the opt in when they first join your list. If you’re doing that, even if you’re not storing it in custom fields, we’re storing it internally and we can still use that in the time zone triggers. It’s really critical that you integrate this intelligently with the IP Redirect feature and use these two in conjunction with one another so that you get the most robust data in the system possible. I want to show you a couple of links here and how they work so that you understand this. This is just the standard HTTP post link for invoking the triggers, we’ll talk about that in just a second as I show how to set it up inside of Infusionsoft. I want to talk about these goals for just a second. We fire off two goals when this trigger hits for the time zone. The first is a time zone trigger goal and the second is a time zone trigger failed goal. I want to be really clear here, when we say it failed it doesn’t mean that the email is not going out to this person. It just means that we didn’t have any time zone data for that person and therefore they’re going to be sent the email at the default time for your application. You can start using this today and, even if you had no time zone data information, it’s not going to hurt anything because it would send out at your normal broadcast time for your time zone for your application. If your application is set to Eastern Time Zone, then that’s when it’s going to send out. The reason that we put this as a fail and the goal and the failure goal is because we want you to be able to see numerically the percentage of people that have time zone data versus not in your database as you’re executing this. This way you have a visual indicator, you’ll be able to see how many of those goals fire off and know how well your data is growing in terms of time zone data. Okay? That’s really the only purpose for this, I just wanted to make sure that was very clear to you. It’s still going to work either way, but one of them is going to be goal based for the time zone and one of them is just going to be for the default time zone. All right. Let’s go ahead and jump into Infusionsoft and talk about this. Inside of Infusionsoft there are a couple of different ways that we can do this. I’m going to show you method one which is what many people have had to resort to in the past. You still may choose to do this. If you do method one, you don’t actually need the time zone trigger itself, you could just do it through the IP Redirects and then some logic in your campaign. Okay? You may ask, “Well, why am I showing you this in the time zone triggers video?” The reason is because it still comes to the same solution of being able to send out email based on time zones. I know that’s the greater problem that we’re trying to solve, so I want to make sure and show you how to do that. What many people are doing in their business right now is they’re invoking a campaign and they’re branching off of a custom field where they have stored the time zone information. I’ll show you as an example, I just did two time zones here for visual reasons on the screen. Let’s say we had Eastern Time Zone which the PHP way that’s going to be stored is America/New_York. Then let’s say we have Pacific Time Zone which would be America/Los_Angeles stored that way. We could branch off of that custom field. Then if they’re in Eastern we could just go on through because we’re in the Eastern Time Zone. Let’s say if they’re Pacific we want it to wait three hours before it sends out the email, then we can just put them into the regular marketing sequence right here. This would assume that you live on the East Coast and your app is on the East Coast Time Zone. Let’s say you wanted to send it at 8:00 am, this would go right through and this one would wait three hours so that it’s 8:00 am on the West Coast. Okay? This is an example that many people are doing this right now. They’re doing primarily US based and they just have the three or four main time zones here in the US. They just set that up and do branching logic based on the time zone data that they store. This data can be stored directly from the IP Redirects, this America/New_York, America/Los_Angeles and there are several of them. I’ll show you a cheat sheet for that in just a minute so that you have that for the United States. If you don’t want to do it that way, honestly this is more work, the best way to do it is method two. This is actually using our time zone triggers. Okay? This is what this API goal is all about. Here we’d start somebody in a campaign and we’d send them an HTTP post for the time zone triggers to invoke that time zone trigger. We just copy and paste that in the same way we’d do anyway. We’d grab from here, we’d just copy this link and then we would just paste it right into here. Okay? That would set it up and that creates the post that invokes our trigger. We’re going to go through there and use the time zone logic, calculate the time zone and then delay to the appropriate time before firing this event. Notice I put two events here. I put the time zone trigger event and the time zone trigger failed event. Either one of those events, both connect through to the marketing sequence, so this is how you should do it as well. You should have both of these events and they should both map through. Okay? The only difference there will be is when I run this I can see how many people I have time zone data for and how many people I don’t have time zone data for. This just gives me a running count of the results so that I can see how well my time zone data is growing inside of my contact database. That’s the reason for this. Either one of these will trigger at the appropriate time and then here you would just have your email going out. You will notice I’ve got the beta email in here with the new responsive email format inside of Campaign Builder. This is really slick. You can see this is the way that it would work. Think of it as a custom timer, that’s the way to really think of this. You invoke it here. It’s a custom timer, you’re waiting for it to fire and it’s going to trigger off a goal for that person at the right time for their time zone. Then it’s going to move on through. When that goal fires, now we can go ahead and send out the email. That’s all there really is to this, it’s fairly straight forward. I know I went into a lot of detail, but at the end of the day it’s important that you think of this like a delay timer. That’s really the way it works. You set it up inside of MyFusion Helper for the time that you want it to delay to and then just simply put that out. All right. I promised you a time zone cheat sheet. This is for the United States, but I’m also putting a link here for MyFu.me/timezones. If you go to that link, that will take you to a page with PHP documentation on all of the different international time zones as well. These are the common ones that most people will use here in the United States, so I wanted to go ahead and give you that cheat sheet. You can see that, although it uses New York for Eastern, it’s not going to have Florida. It’s not going to have Orlando. It’s not going to have all of the different places in the Eastern Time Zone listed like that, it just normalizes it all and the Eastern Time Zone becomes America/New_York. That is just the way it’s done for consistency, you’ll have that reference here. I wanted to provide that reference to you so that, if you’re hard coding anything based off of time zone, you’ll have this. You can also generate reports as you run the IP Redirect and build up these time zones in your contacts. You can then store that data in a contact custom field and report on that directly through a simple contact search report. Let’s talk about some of the examples and uses for this. The first thing is just getting some segmenting data about your list by time zone. Really understanding where your list resides, where they live, where they’re at and where they’re geographically dispersed. Being able to do that is very simple and easy through incorporating this time zone data. The other thing you’re going to be able to do, obviously, is email contacts in their local time. There’s not a whole heck of a lot of examples to talk about here because, at the end of the day, that’s what this is all about. It’s about getting the email to the person at their time. In the past, with Infusionsoft you’ve had to try to select a time that works across various time zones and it’s marginally effective. It’s probably a little too late on the East Coast and it’s a little too early on the West Coast, so you just pick this compromise time. Now you have the ability to truly email contacts in their time zone and deliver the email to them at the right time where you’ll have the best deliverability and best impact from the knowledge that you have about your list. Hopefully this will be a big help for you. If have any questions, as always, reach us on the Help Desk at help@myfusionsolutions.com. Take care. Troy is the co-founder of MyFusion Solutions and is an Infusionsoft Certified Partner. Troy currently runs three businesses on Infusionsoft, runs training and coaching programs, a high-end Mastermind for Infusionsoft powered small businesses and is the author of the upcoming book Infusionsoft Mastery: The Definitive Best Practices and Strategic Implementation Guide. IP Redirect/Route It Helper and How To Set Them Up! Why Use Our Slack Helper When You Can Do The Same Thing Without It? Office Hours – You’re Missing Out!